We need fertilizers to maintain and increase farm productivity and feed a rapidly growing population, yet 50 percent of the nitrogen fertilizer applied to crops is lost to our waterways or into the air. That’s not good – not for the grower, nor for the environment. 1. California’s proposed crop-based carbon protocol will set a strong precedent. The California Air Resources Board is considering a crop-based carbon offset protocol that will let American rice growers earn additional revenue for reducing greenhouse gas emissions from cultivation. If the protocol is approved this year, the door will be open for the state’s clean air agency to develop and approve a similar protocol that awards carbon credits for fertilizer optimization. This would give farmers and ranchers additional incentives to use fertilizer more efficiently and drive serious improvements in water quality along with emission reductions. 2. Walmart and food companies are creating demand for sustainably grown grains. As part of Walmart’s commitment to cutting 20 million metric tons of greenhouse gases from its supply chain, the company asked its top food suppliers to create fertilizer efficiency plans for their own supply chains. The 15 companies that responded represent 30 percent of the food and beverage market in North America. 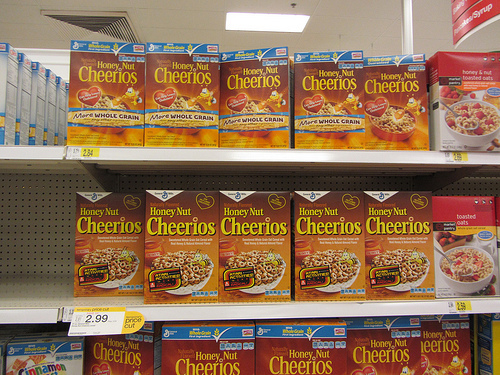 Several of these food companies, such as Smithfield and General Mills, approached Environmental Defense Fund to help them create or implement these efficiency plans and meet Walmart’s demand. And with Walmart leading the charge for nutrient-efficient grains, look for additional food companies and retailers to get on board with fertilizer optimization. 3. New technologies are helping farmers optimize fertilizer use. Fertilizer optimization tools are being introduced to the market at a staggering pace. Already, platforms such as SUSTAIN, a fertilizer efficiency and soil health platform run by United Suppliers, and Adapt-N, a breakthrough nitrogen use efficiency tool, are being used by General Mills and others to increase fertilizer efficiency. This year, we’ll also work with our supply chain collaborators to promote the NutrientStar program, a robust scientific review process that EDF and a team of experts are developing to evaluate these and other tools. The process will make it easier for farmers and agribusiness to select the most effective and appropriate mechanisms to optimize their fertilizer use. It will also help food companies prioritize good tools in their sustainable sourcing plans. 4. Farmers have an incentive to reduce fertilizer costs. 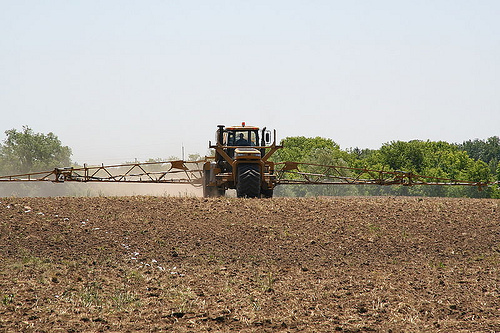 Fertilizers are often applied to crops as a kind of insurance policy to protect yields – if some fertilizer washes away, the goal is to have enough remaining on the field to help sustain optimal crop production. Yet this can result in unnecessary fertilizer application – and in high costs for farmers, who spend up to 25 percent of their operating costs on fertilizer. Fortunately, the new tools in development can potentially lower farmers’ operating costs while still maintaining high yields – another powerful economic incentive for farmers to optimize their fertilizer use. This entry was posted in Carbon Market, fertilizer, Supply Chain, Sustainable Agriculture and tagged agriculture, California Air Resources Board, fertilizer, GHG mitigation, nutrient efficiency, rice protocol, SUSTAIN, Walmart, water quality. Bookmark the permalink. Both comments and trackbacks are currently closed.